In a new study published in the online issue of Neurology, the medical journal of the American Academy of Neurology, researchers found that a certain pesticide used before the early 1980s may be linked with signs of Parkinson’s disease in the brain. The pesticide is called heptachlor epoxide, and it was found in milk at the time. From the 1960s to 70s, heptachlor epoxide helped farmers kill insects on crops and exterminate termites in homes. In the 1970s, the pesticide was phased out and it was banned in the U.S. by 1988. It is now only used to control fire ants in power transformers. Animal studies suggest that long-term heptachlor epoxide exposure can disturb the kidneys and liver, and cause convulsions and tremors. It may also cause developmental and fertility problems. Previous studies have associated Parkinson’s disease with dairy products, but this study specifically looked at milk and the signs of Parkinson’s in the brain. With Parkinson’s, cell death occurs in the brain in a cell mass called the substantia nigra. It is involved in the control of coordination and movement. For the study, the research team examined 449 Japanese-American men with an average age of 54-years-old. They were enrolled in the Honolulu-Asia Aging Study and were tracked for over 30 years until death. The researchers then performed autopsies to determine whether brain cells were lost in the substantia nigra area of the brain. The brain loss can occur decades before the onset of symptoms. The researchers also measured the amount of heptachlor epoxide residue in 116 brains. In the early 1980s, the chemical was found in the milk supply in Hawaii. The state used it to kill insects in the pineapple industry. The study found that heptachlor epoxide residue was found in 90% of those who drank the most amount of milk compared with 63% who didn’t drink milk. The non-smokers who drank over two cups of milk daily had 40% fewer brain cells in the substania nigra area of the brain than those who drank less than two cups of milk daily. For smokers, there was no link between brain cell loss and milk intake. This supports previous studies that suggest smokers have a reduced risk of Parkinson’s disease. The study did have its limitations. For instance, there was a lack of evidence that heptachlor epoxide was found in the milk drank by the participants. Also, the study only showed an association between milk intake and the pesticide, and it is not clear that the link would cause the disease. Dr. Chen also applauded the study on how epidemiological studies can add to the exploration of the causes of Parkinson’s disease. Parkinson’s disease is a progressive nervous system disorder that interferes with movement and mental function. In the U.S., the disease affects 1 million people, with an estimated 60,000 every year. The most common symptoms of Parkinson’s disease include tremors, slow movement or the inability to move, impaired balance, fatigue, and cognitive disturbances. The person will also appear to be rolling a pill between their thumb and forefinger. There is no definitive cause of Parkinson’s disease; however, there are a number of factors that contribute to the condition. Mutations in the LRRK2 gene are thought to be a major genetic cause. Other causes include food allergies, poor nutrition, inflammatory brain disorder, free radicals, and environmental causes such as heavy metals, carbon monoxide poisoning, and insecticides, herbicides, and pesticides. Abbott, R.D., et al., “Midlife milk consumption and substantia nigra neuron density at death,” Neurology, 2015; doi: htto://dx.org/10.1212/WNL.0000000000002254. “Pesticide found in milk decades ago may be associated with signs of Parkinson’s,” ScienceDaily web site, December 9, 2015; http://www.sciencedaily.com/releases/2015/12/151209183729.htm. “Pesticide Found in Milk Decades Ago May Be Associated with Signs of Parkinson’s,” American Academy of Neurology, December 9, 2015; https://www.aan.com/PressRoom/Home/PressRelease/1421. 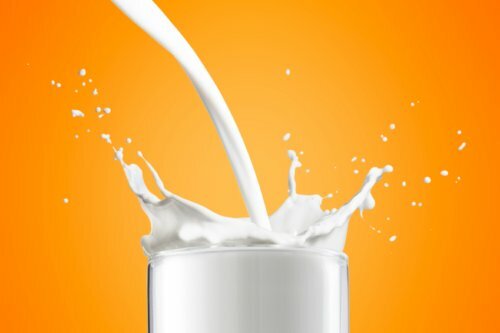 Brazier, Y., “Could pesticide in milk contribute to Parkinson’s disease?” Medical News Today web site, December 10, 2015; http://www.medicalnewstoday.com/articles/303851.php. Balch, J., et al., Prescription for Natural Cures: A Self-Care Guide for Treating Health Problems with Natural Remedies Including Diet, Nutrition, Supplements, and Other Holistic Methods (Hoboken: John Wiley & Sons, Inc., 2004), 428-433. Murray, M., M.D., et al, The Encyclopedia of Natural Medicine (New York: Atria Paperback, 2012), 868-869.